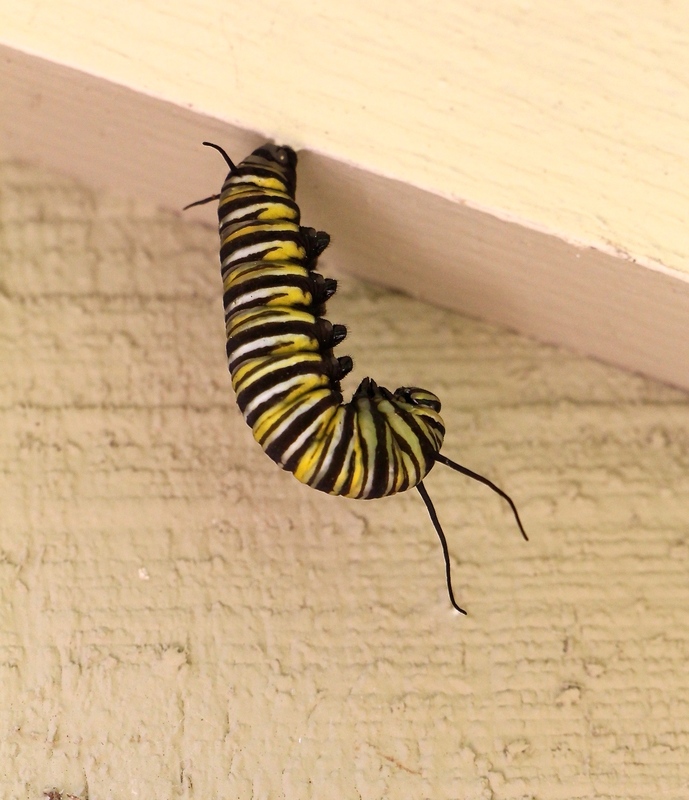 Last Thursday I checked on the monarch caterpillars and found all of them gone except for these few wandering on the ground. By Friday morning even those had vanished. 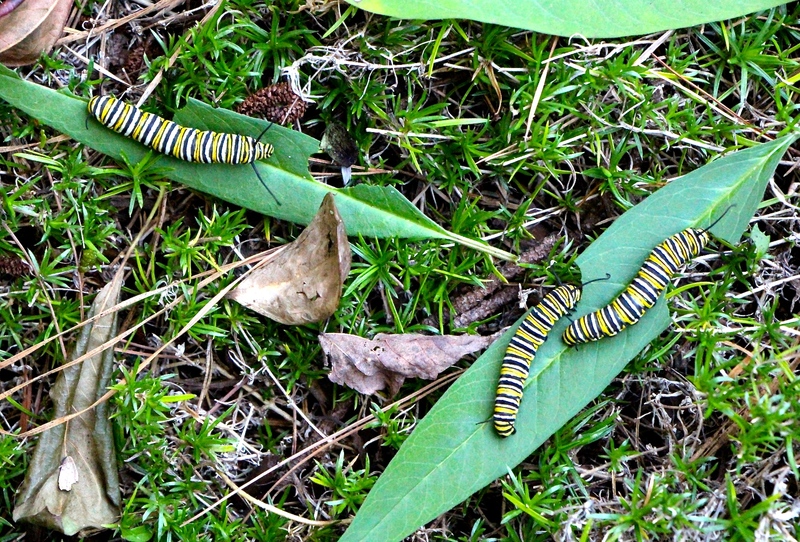 Mother Nature had obviously whispered to them that it was time to go. 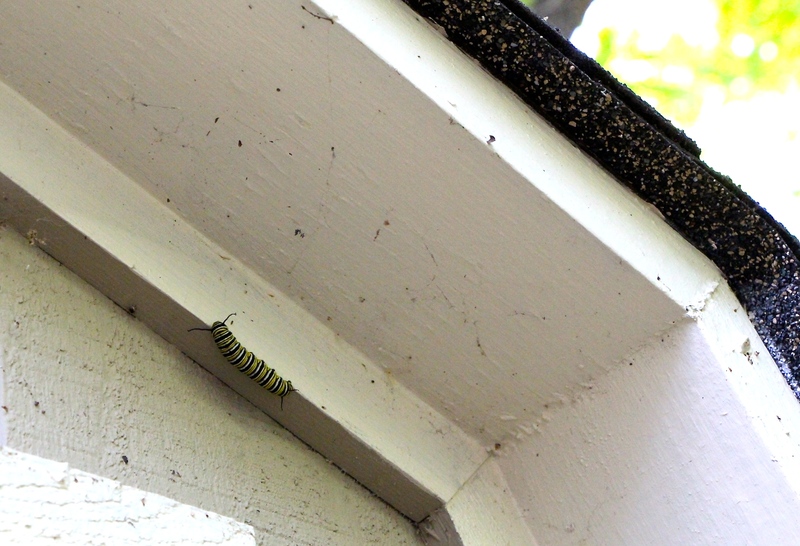 I searched all weekend, trying to think like a caterpillar, hoping to discover their chosen spots for the next stage, but no such luck… until Saturday, when I spied one under the eave of our garden shed, checking out the accommodations. 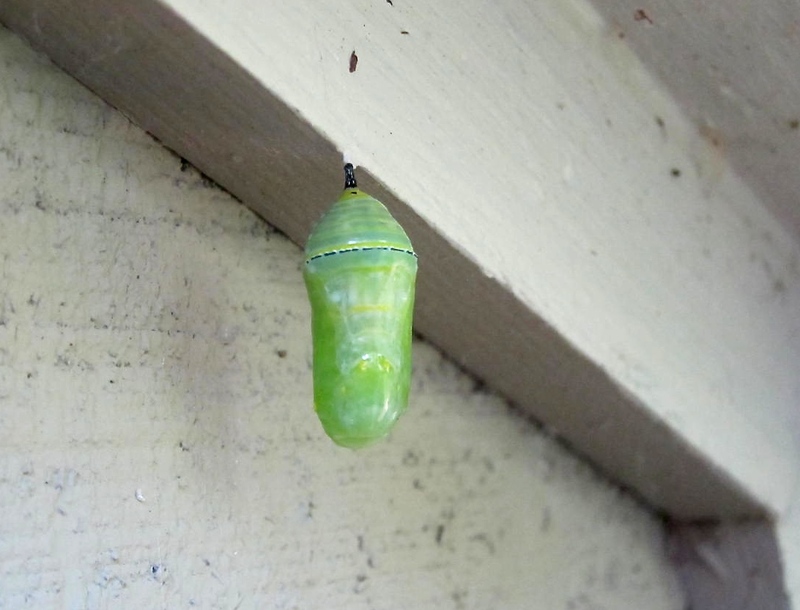 On Sunday afternoon a stunning green chrysalis was in place. I am excited beyond words!!!! ← Fashionable Family Friday: Comin’ in Hot!